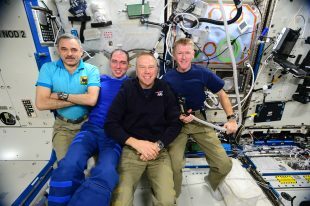 Sunday, 18 June 2017, marks one year since British ESA astronaut Tim Peake returned to Earth after his historic mission to the International Space Station. Since then the UK Space Agency has continued to deliver the largest education programme in support of a European astronaut to date. Tim’s Principia mission has provided opportunities for students across the UK to engage with science and technology through projects funded by the Agency. We have reached at least 1.6 million children and young people – equivalent to around 15% of the total UK school population, with participants coming from 9,894 schools. That’s equivalent to 31% of all schools in UK. Children who may not traditionally be attracted to space from a scientific or mathematical point of view have been drawn in through a number of different ways such as film competitions, sports challenges and writing competitions. Although Tim’s Principia mission may have ended a year ago, these engaging projects have not. They are still available to be enjoyed by many more students to come. For primary students, the Space Diaries allows them to learn about space, strengthen their literacy skills and much more, whilst they follow Tim’s mission. The authors of the Space Diaries have published a special booklet helping to encourage girls into STEM by engaging them in a range of alternative space activities. Earth Observation Detective have produced engaging resources encouraging students to become an earth observation ‘detective’ just like Tim when he took those amazing photos from space. The classroom activities introduce primary and secondary students to earth observation by providing teachers with satellite data, astronaut photographs and ideas about how to use these in their lessons, looking at topics such as weather and climate; forest and habitats; and natural disasters. For older students, the Institute of Research in Schools continues to flourish, with TimPix and Amazing Atmospheres giving students the opportunity to use real data from the International Space Station or to be part of the ExoMars Mission from Earth. The National Space Academy’s Astro Academy: Principia include videos made by Tim while he was on the ISS to demonstrate otherwise hard to grasp physics concepts to secondary age students. These are just a few of the current Principia programmes ongoing. Currently, all resources created with the UK Space Agency can be downloaded from ESERO-UK. But watch this space, the education team will be launching their new website in the upcoming months to include education resources as well as information on skills and careers in the space industry. Susan Buckle, Astronaut Flight Education Programme Manager. 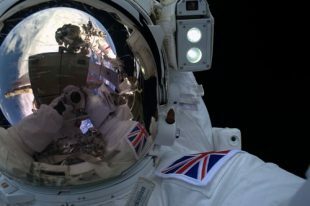 The UK Space Agency is responsible for all strategic decisions on the UK civil space programme and provides a clear, single voice for UK space ambitions. Find out more.